With a bright yellow and red sign and windows adorned with travel offers, the exterior of Camellia Hotel 6 has nothing to differentiate it from the countless other budget hotels in the area, but it’s an expat and traveller favourite for good reason. 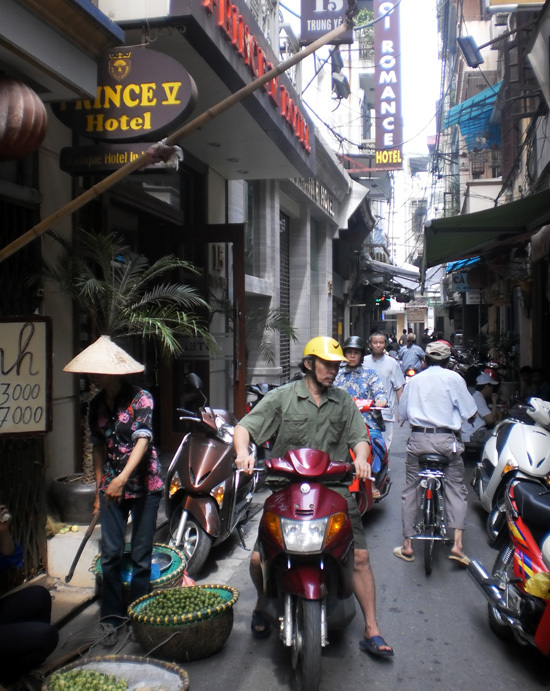 Located down a vibrant alley off Dinh Liet, a few minutes’ walk north of Hoan Kiem Lake, Camellia 6 can be difficult to reach, not just because the alley’s tricky to spot, but because it’s full of obstructions such as street vendors, tea stalls and people just, well, hanging out. This is all part of its charm though, so watch where you’re treading and push on through. The hotel has two grades of room: standard and deluxe. All come with air-con, decent bedding, WiFi and internet cable, satellite TV, a fridge and a hair-dryer – the latter two being unusual yet useful additions for a budget hotel. Deluxe rooms are notably larger than the standards and are at the front of the hotel, so have large windows and balconies big enough to sit out on. They also have bathtubs. Standards are just about big enough for the bed and a couple of armchairs but do have windows. Decor is unexciting but the rooms are very clean and bright, with no sign of damp. Unexciting but neat and light. As well as in-room internet access there are two internet stations and a well-stocked bookcase in the reception area, which doubles as a breakfast room. Breakfast is included in all rates and there’s a reasonable choice including eggs, bread and noodles, served with a hot or cold drink. What tops it off is the friendliness and helpfulness of the owners and staff. It seems nothing is too much trouble and they will go to great lengths to ensure your trip is enjoyable and successful. 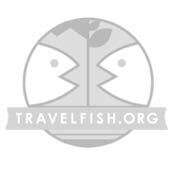 We’ve not tried out the tours they offer, but have heard some good reports. 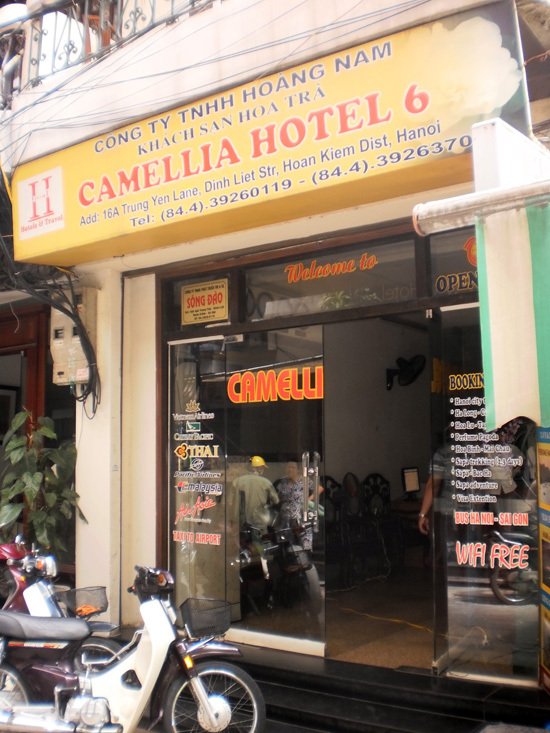 Although Camellia 6 isn’t strictly in the budget category, as prices in Hanoi increase the standard room, which go for $15, are some of the cheapest rooms around and are certainly some of the best value. Deluxe rooms ($21) are also good value once you factor in the size and the balcony, which similarly priced rooms elsewhere – such as at Little Hanoi Hotel or Prince I — are lacking. Camellia 6 is a great choice both for those on a budget and for those who want a comfortable, friendly and central place to stay. Also, some deluxe rooms sleep up to three so would suit a group of friends or a small family. As it has the typical two-rooms-to-a-floor-and-lots-of-stairs-with-no-lift set-up, make sure you pre-book a first floor room if you have trouble with steps – or heights. It’s a popular hotel so booking in advance is recommended, although on our visits there have been walk-in rooms available. If you do book in advance they’ll arrange an airport transfer for the same price as it would cost to pick up a taxi at the airport, but with a lot less hassle. 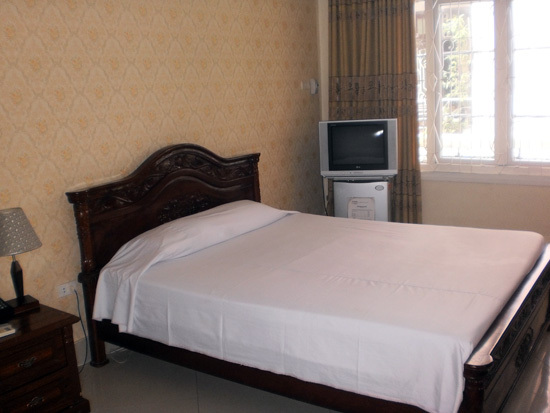 This is a top pick in Hanoi: it’s comfortable, clean and friendly and in a central and interesting location. 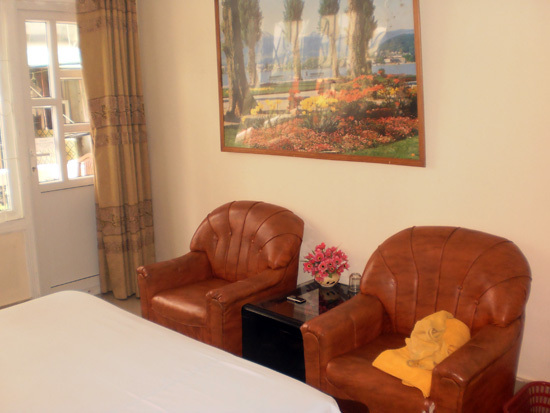 Deluxe rooms are worth the extra, although the street is quite busy so you may get early morning noise – go for a higher room if you can manage the stairs.